Hi everyone and welcome to my art store! I'm a professional artist and animator with 25 years in the business, working mostly in television animation and video gaming. One of my larger independent achievements was completing a 3 minute short film called "Alien for Christmas". 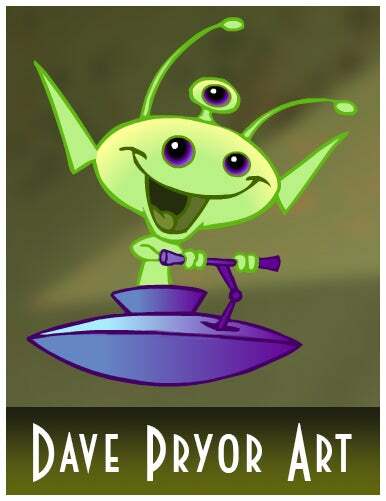 The little Alien from the movie is what I use as my avatar on art pages. I love to do my own art when I have the time, and outside of TV and games, you will regularly see my art in gallery shows. I live in Chicago with my wife Heather, and dogs Ham and Cake.